Clelia Falletti, Gabriele Sofia, and Victor Jacono, ed. 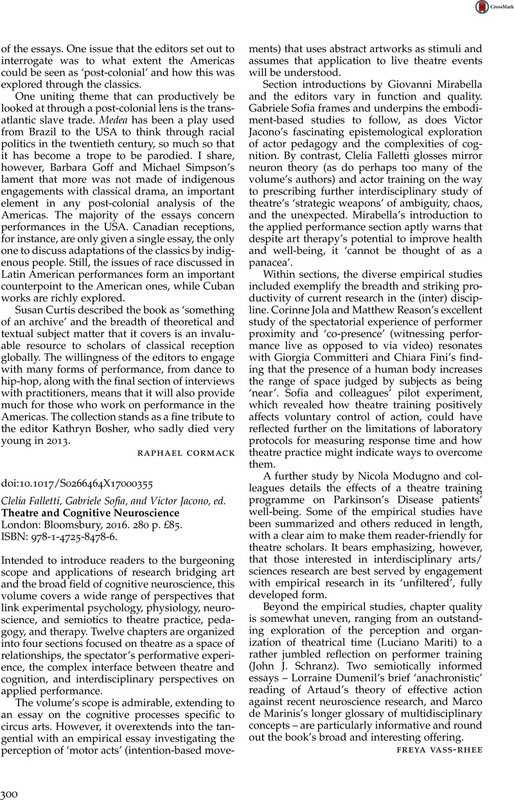 Theatre and Cognitive Neuroscience London: Bloomsbury, 2016. 280 p. £85. ISBN: 978-1-4725-8478-6.